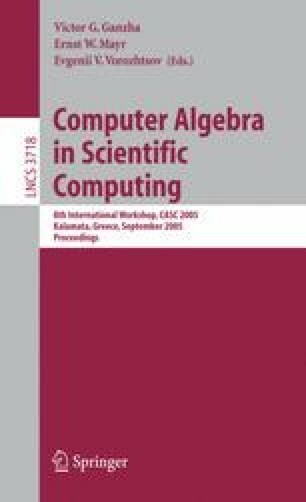 We present an algorithm for solving polynomial equations, which uses generalized eigenvalues and eigenvectors of resultant matrices. We give special attention to the case of two bivariate polynomials and the Sylvester or Bezout resultant constructions. We propose a new method to treat multiple roots, detail its numerical aspects and describe experiments on tangential problems, which show the efficiency of the approach. An industrial application of the method is presented at the end of the paper. It consists in recovering cylinders from a large cloud of points and requires intensive resolution of polynomial equations.